This explosive new documentary shows how the election fraud that changed the outcome of the 2004 national election led to even greater fraud in 2006 and now threatens the integrity of the 2008 election. Factual evidence, unassailable logic, whistleblower testimony, and the committed work of election integrity activists drive home the inescapable conclusion of massive electoral fraud. This powerful documentary will prompt serious discussion of the meaning of the corruption of the electoral process for our democracy. Emmy award winning director David Earnhardt will be at the Carousel for Q & A after the viewing. Note: Theater prices at the Carousel are $8.75, with special rates for seniors, students and children. "Uncounted" will also be shown on April 18, 2008 in Burlington. So the Holt bill will finally see the light of day? Thank you! 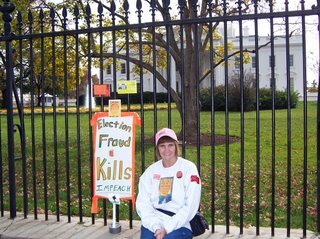 ELECTION FRAUD still cost US many congressional seats, and would have been a greater disaster if not for the huge drop in the approval of the Bush regime from October to November. Election fruad is a very serious crime against our country , in many ways largely responsible for the death of THOUSANDS of people at home, and hundreds of thousands in other coutries. We need to face the facts, and act with honest determination, to rectify, as much as possible the tremendous harm to our people, our economy and our world, caused by so many deadly lies. I sincerely believe impeachment will be a necessary step to assure accountability and justice. HELLO from WDC! 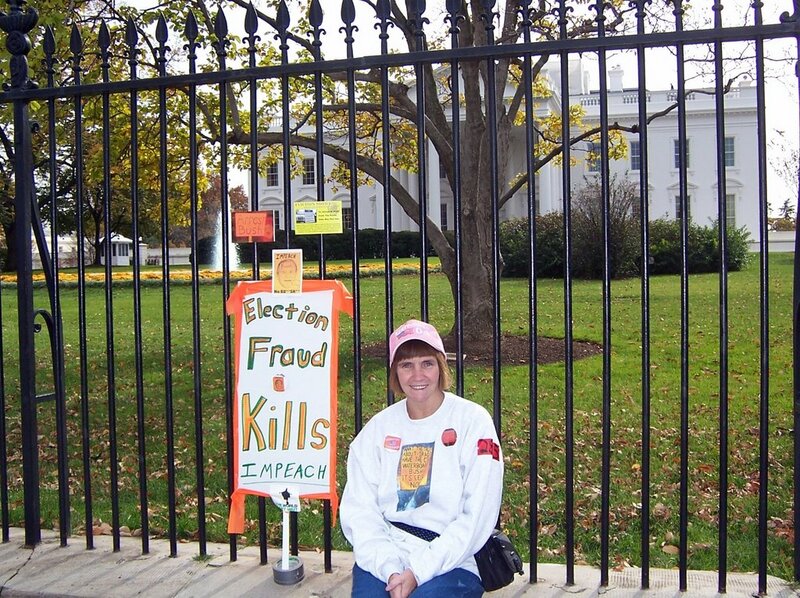 On my way back to Baltimore I stopped for a while and joined the STEELE political operatives handing out Steele stickers and flyers,at the train station, and chanted "Election fraud kills Don't let them steal the election." 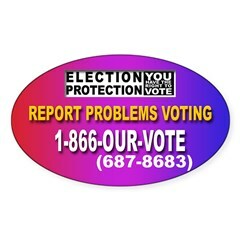 CALL 1-888-VOTETIP to report suspected election fruad! 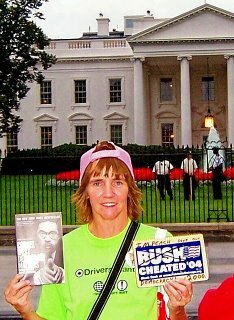 Massive Sit In at the White House Nov. 4 - 9, Join those convening on the White House on election day and the day after - it is time we take back our First Amendment rights to peaceably gather, exercise our freedoms of speech, and to petition our government for redress of wrong. Urgent Plea Mailed to 50 State Governors, Sec's of State and Election Directors Signed by Broad Coalition of Election Integrity Advocacy Orgs, Congressional Members, Elections Officials, Computer Scientists, Civil Rights Attorneys and Journalists Initial Federal Effort Calling for Back-Up Paper Ballots Now Moves to States, Citizens Asked to Join the Call! also call 1 866 687 8683 (our-vote)if you notice anything indicative of election FRAUD. Vote early and TAKE ACTION! LINK! Don't become complacent.Election FRAUD has cost US dearly, and we can't afford it any more. Massive Sit In at the White House Nov. 7th and 8th, Join those convening on the White House on election day and the day after - it is time we take back our First Amendment rights to peaceably gather, exercise our freedoms of speech, and to petition our government for redress of wrong. I've sent variations of the following to various media outlets. They still have not fully reported much of the big picture. Of course there is so much dirty history too, but they could at least begin to scratch the surface. I honestly feel so overwhelmed and frightenned at times. Wake up, to reality, and report it PLEASE! Election fraud has cost US dearly, think HARD and LEARN the truth about it. Hundreds of thousands have died as a result, and our environment, in so many ways is less healthy and our world more dangerous. More people all over are, and even more will be, living and dying in a world of pain due to YOUR horrible decisions. Grow a conscience, pray, THINK! Do the right thing. Investigate,prosecute,IMPEACH, punish! Then let US move forward! http://www.velvetrevolution.us/#092806 Please consider the latest Princeton study and more information. I trust the scientist more than far right bu**sh**, and it is way beyond time for you to do so as well. Bush dismissed that scientific study concerning the 655,000+ Iraqis that have died as a result of his war, just as glibly and stupidly as many have denied the reality of fraudulent elections in OUR country. Please, CARE about our democracy enough to consider the truth. Diebold - Abramoff and stolen elections. "2001 – Ney's Chief of Staff David Distafano turns lobbyist for Diebold and at least one other voting machine company. One of DiStefano's crows about his having "an insider's edge to hard-to-reach political officials." 2002 – Programmer Clint Curtis testified that he was asked in 2002 by GOP Rep. Tom Feeney to create vote-stealing code for voting machine, which he does. This software seemed to have been used in the 2002 stealing of Sen Max Cleland's seat in GA.
2002- Distafano and partner Coffee rewards Ney with $20,000 in campaign contributions, starting in 2002. Abramoff has Indian tribes contribute tens of thousands of dollars to Ney and pay the notorious $100,000 for the St. Andrews golf junket. 2002 – Diebold and AccuPoll start paying Distafano and partner Roy Coffee $250,000 in lobbying fees. Diebold starts paying $275,000 in lobbying fees to Greenberg Traurig, Abramoff's firm. 2003 - Ney prevents the mandating of verified paper trails for Diebold and the other companies. 2004 – Ney writes "Dear Colleague" letter against amending HAVA for paper trails. .."argued at the time that paper records on such machines would somehow disenfranchise disabled voters.... mandated at least one disabled-accessable device in every voting precinct in the country. That device, of course, would be a paperless touch-screen electronic voting machine, like the ones made by Diebold,...." Ney also stops Holt's bill to reform HAVA "